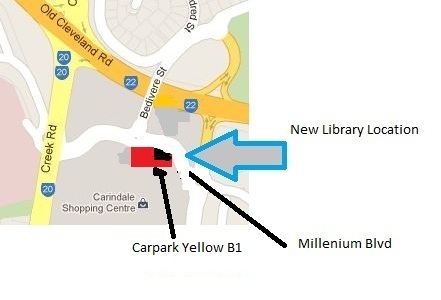 We meet in the Meeting Room, which is adjacent to the new Carindale Library. The only way to access the meeting room is from the Yellow B1 Car Park, off Millenium Boulevard. The door to the Meeting Room (labelled "Fire Door") is located at the end of the car park nearest to Millenium Boulevard. Unfortunately, it has to remain closed and locked while we are there, but there will be someone at the door around 7pm to let people in, and there is also a buzzer next to the door. 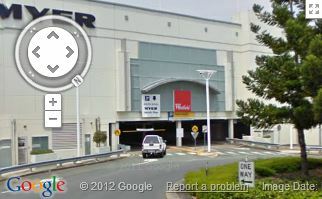 Parking at the Carindale Shopping Centre for the new Meeting Room will continue to be free after 6pm.